You will want to know a typical hard drive recovery cost before you commit if you need to recover data from a hard drive from a dropped laptop or any reason for a hard drive not working. This is because if you have your data recovered by a professional service, prices can be high and typically shock some people the first time they find them out. There is help ranging from free (things you can do yourself and online, we’ll give you these) to several thousand dollars. So read on below to understand what might be the cost for you, and let me show you how you can SAVE MONEY along the way! While technology has made storing data convenient and space-friendly, it does not come without risks. Those of us who rely heavily on computers for storing our family photos or important work documents know how awful the experience of a hard-drive failure can be. If you are one of those who might have to pay for hard-drive data recovery you will also want to know how costly it can get. So we investigated and made a list of hard drive recovery cost ranges for professional data recovery services so you can recover your data at a pocket-friendly price. These hard drive recovery cost ranges are the first indication of the prices you might encounter – be sure to read on below for free (or cheap) alternatives and more explanation about what to expect in your case. Caution: There are still ‘sharks’ who charge much more than what it costs them to recover your data, but in most cases the more damaged your hard drive and therefore the more difficult and time consuming the data recovery, the higher the cost. Good professionals have pushed most of those sharks out of the industry in recent years. I’ll tell you what to look for to avoid them. NOTE: we have a related article that might just save you the entire hard drive recovery cost! See our article how to recover data from a crashed hard drive (opens in a new tab). I know the term ‘crashed’ scares some people, but don’t let that worry you. Your drive doesn’t necessarily need to have ‘crashed’, just not be working properly. Or you just may want to recover your data before your hard drive dies and save the cost of a pro. In that article you will see some ideas you can try first that range from free, to cheap data recovery with hard drive recovery software (we cover HDD recovery software we’ve used for our clients) If those are unsuccessful it then goes on to the kind of professional data recovery services we are talking about here. Avoid hard drive data recovery costs altogether! Use your freezer?! And mittens! Be warned this is not for everyone. There are risks but it is 100% totally free! Just wear those mittens when you take the drive back out of the freezer! Before we jump straight into hard drive recovery prices, we are going to need to walk you through a handful of important things that one needs to understand. This will enable you to gauge the kind of data loss, and then you can decide for your-self on how much the entire process should cost you. Then with that knowledge, you will be empowered to decide whether your lost data is worth it. 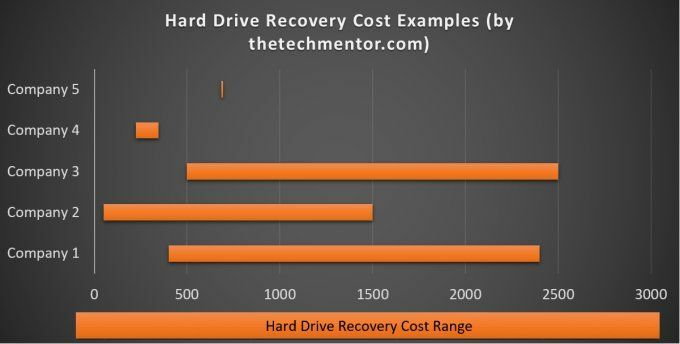 What do hard drive recovery costs depend on? The first thing that a person who is seeking hard-drive data recovery services should understand is the factors on which the technicians and companies price their services. The level of investment in research and development the company has made. The quality of their workshop or clean room, the cost to set it up (and how long they have been operating) and other operating expenses. So you can see that data recovery services cost less or more depending on how much investment in their business they have made. This means that cheap hard drive recovery might mean a less professional service. That said, if your data recovery is a simple case, why pay more? I mean why pay for expertise you don’t need? How do you know what level of expertise you need? To answer that, let’s take a look at some types of failures that often give rise to data recovery needs. Understanding the kind of damage that your hard-drive has suffered will help you comprehend how much labor, time and resources the recovery will utilize. Then you will be able to decide on the costs involved as well. Damage can be from software problems causing incorrect data distribution through circuit board electrical failure through to mechanical impact in the terribly important metal disk surface (that last one will only be recoverable by the true data recovery experts). So, here are the kinds of damage that a hard-drive might sustain. Knocking out your hard-drive –literally! Mechanical failure occurs when the device suffers an impact or a drop severe enough to physically damage it. Usually, when this occurs, the hard-drive will make a ticking, clicking, beeping or knocking noise upon starting the attached computer. If it works then be sure to copy off the data quick, because a clicking hard drive may not be long for this world! (I mean to say that the drive will likely deteriorate further and stop working) At thetechmentor.com we often hear about people who have dropped a laptop and now it won’t start. Faulty Wiring. It is possible that a mistake was made when plugging the drive into the device, resulting in a power surge or broken power cables so that the right voltage is not reaching the device. This is called an Electric Failure, and you can tell it from others in the sign that there are no sounds, and while it does not work, your hard drive does power on. It may mean your entire computer will not start. The device is fine, but your data isn’t. Sometimes the fault is in the data that is on the hard-drive rather than the device itself. This is called Logical Failure and is perhaps the most common of all of the failures. This occurs due to viruses, malware or simply accidental and frequent computer shutdowns. The signs are also very easily detectable: the device will routinely freeze, lag or crash, and certain files will not be accessible. Learn how much a recovery should cost you, so you won’t be fooled by the sharks out there. That’s what we are here to help with. So how much should it cost? It depends, so let’s find out more. How much should Hard Drive Recovery cost you? Let’s take the next step now. Now that you know what kind of damage your hard-drive has sustained, you can probably tell how much effort will be involved in recovering your data. Most types of basic failures typically cost a few hundred dollars. Is my concern mechanical, electric, or logical? How soon do you want the data recovered? We have made for you a small table comparing some of the hard drive data recovery cost options that are available to you, for five different providers. If you want to contact the service providers, you can simply click on the name of the service within the table, and it will lead you to their website where you can get in touch with them. Of course there are more alternatives than the ones provided below. I mention at least one more hard drive recovery service provider (one of the industry leaders in my opinion) in my complete guide on hard drive recovery (click to open in a new tab). Data recovery service costs. For more detail of the cost of hard drive recovery, be sure to read on about each company below. As you can see in the table above, your hard drive recovery cost be anywhere from $49 to $2500. However these price ranges reflect the type of recovery necessary. A simple software fix could be quick and easy, and therefore very cheap. Often they only recover personal documents and files, not an entire operating system. What if the work required was something like the following? Pull damaged plates of the hard drive apart. Treating the hard drive plates (for example polishing out mechanical impact in such a way as to minimize further damage to magnetic field used for storing the data). This will allow the next point. Reading recoverable parts of your data and compiling it together. Correcting possibly damaged data and substituting missing data (this requires very clever software, often developed in-house). If so, then it will take a lot more time (with a lot of investment in research and development of software to do so). So the price will be relatively high accordingly. I’m certain technically challenging hard drive recovery cost like that could far more than $2500. You will really need to have high value data in order to make this sort of price worth while. Cases like that do exist, but let’s hope that your needs are less extensive. NOTE: Some recovery services off free shipping to their location from yours. In the long run, this can add to the overall cost of their service relative to a local business. Then again, they may have higher throughput due to a larger client base over a larger area, and higher volume of work can bring the per unit cost down. The point is if two service providers look the same and one has free shipping, why not use that service? Hard-Drive Recovery gives a spectrum of $49 to $1500. If it is a low-end recovery, however, it may cost only $49 to $99. This is cheap data recovery. It will only charge up to $1500 if it is a high-end recovery, like a dip of the device in water. We found this service to have the lowest bottom end of price range of them all. Given the cost of a technician’s time, we guess the $49 price is for very little work to recover the hard drive. Record Nation also offers a cheap service, and also has many do-it-yourself pieces of advice for hard-drive data recovery on their websites. Some of that advice includes shutting down your device to prevent additional loss, removing hard-drive from the device and connecting it to another one, or simply cleaning and reorganizing your data. Data Recovery Now has a comprehensive pricing list on their website, elaborating on all the charges according to the type of damage. It is easy to see that you can’t know the full repair scope in advance, and so you won’t be able to be sure of the exact data recovery cost in advance either. With this knowledge you can certainly gauge the order of magnitude of your hard drive recovery cost. If they are near you they may be an option. However, if you are looking for a quick recovery service that is also at a reasonable price, you could try 24 Hour Data. As the name suggests, it is available 24 hours a day, and so you can take your hard-drive to them at any time. Plus, the price is pretty much reasonable as well keeping in mind the delivery timings they claim to offer. I point out that you are paying more for fast response and turn around time. Are you asking do any of these providers do hard drive recovery near me? Check that out on their websites. 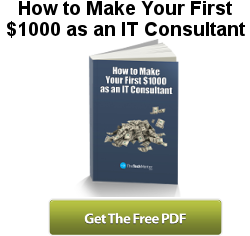 NOTE: At the time of writing TheTechMentor.com is not affiliated in any way with the above companies. Some services charge on an hourly basis (tricky for you as you don’t know how long they will take and perhaps they only have a limited range of skill). Some companies charge by the amount of the data that needs to be recovered (this is only reasonable to a certain extent, as incremental costs do not vary significantly). The technician may have to look at the device to evaluate the extent of the harm to the device –and only then will they be able to tell you the actual costs. Beware of people who may tell a low price and raise it after you have sent them the drive. Dare I say it, the technology in these hard drives IS highly technical, and things can get complicated quickly and if you do the wrong thing, it can get messy. The recovery process may be demanding, and if you try a few things yourself and you are inexperienced, you might just create another more expensive mess such that you are better off not going through with DIY data recovery. Depending on what your data is worth, and how you feel about how high a hard drive recovery cost could go up to, you may find it costly as well. If you do need to use a professional hard drive recovery service, we recommend you use one that first analyses the nature of damage and then gives you a quote on a set of agreed recovery targets. However, once you have a damaged drive and you have to get your data back, we understand that it is unavoidable and inevitable. 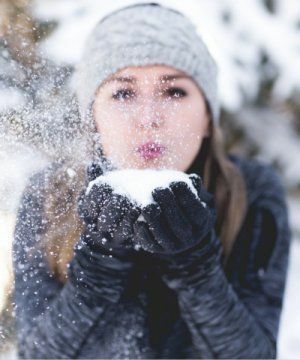 If you only had a few holiday photos for example, and someone else has a few of the same holiday, then you probably will not be willing to spend much on recovering a hard drive. SAVE MONEY Tip #4 – Avoid the need for Hard Drive Recovery in Future! If you have already had a failure and need to recover your data, then you now know about the data recovery prices. You do not want to repeat it again I am sure of that. If you want to be happy in future and save on data recovery services costs – then do this! If you are reading this to help a friend or client, then we strongly suggest you implement some precautionary measures of your own too. Avoid throwing your devices around – look after them! There are tiny parts inside soldered together that can break. Cable connectors can become loose. Keep device away from water – we tend to accept technology into all parts of our lives yet forget they aren’t all designed to be near the pool or in the rain. Always use the USB ‘Remove Safely’ Option (or as written in Windows 10 “Safely remove Hardware and Eject Media”) – look for the icon at the bottom right of your computer screen. Keep backups! In most cases it is cheaper to buy a second drive (an external drive if necessary) and implement a routine to perform backups of your data and important files. These days it is easier than most people think. There are many ways to implement a backup process. You could buy an external hard drive or Solid State Drive (SSD) and use software. I’ve recommended before a hard drive docking station so you can easily connect internal drives (that are typically cheaper than an external dive with it’s own case). That said, if you want a nice sleek new external SSD then you can buy one of these with its own USB connection. Why wouldn’t you? They are super quiet and super fast. Not to mention super cool! Just be prepared to pay more. One thing I didn’t mention in detail above, is that a reputable business will offer to assess your drive first to determine what kind of damage it has sustained. Once they have performed an initial analysis, they can discuss with you not only the cost, but also the likelihood of success. Remember that partial recovery may be possible and worthwhile. In my experience and based on my observations and research, a typical cost should be around $250 to $350 for a basic recovery. I really hope you can get your data from your hard drive. I hope the tips with links to some free or cheap options help you. Your hard drive data may be priceless to you, or it might only be worth recovering if the price is right. We showed above that a high price may well be justified if the hard drive is damaged in a way to make data recovery particularly difficult, provided the data that might be recovered is of sufficient value to you. From our research presented above you can see that a single hard drive recovery cost can be anywhere from mid-double figures to well into several thousand dollars.